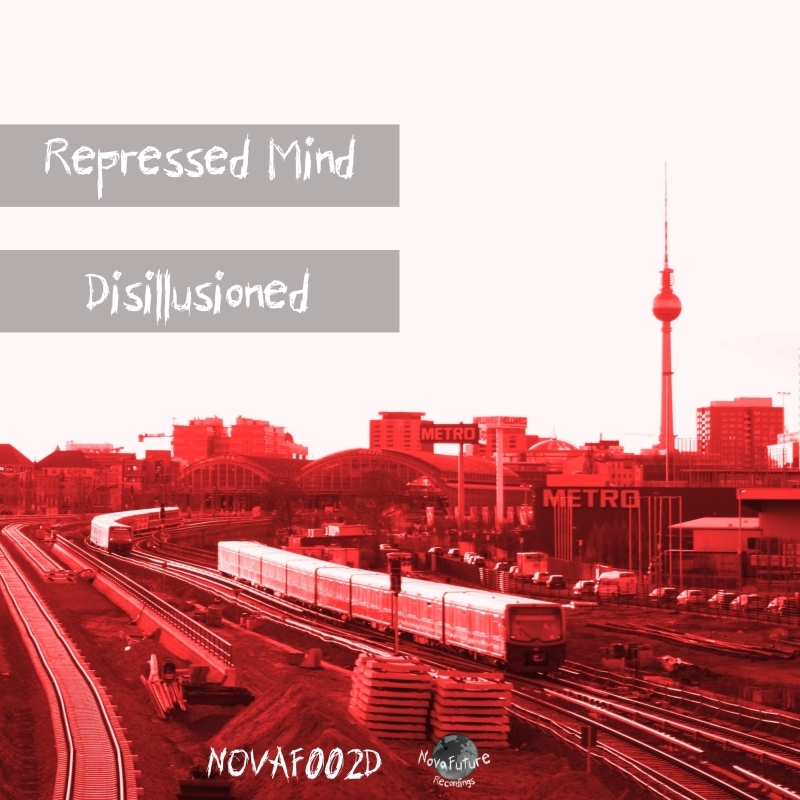 NovaFuture Recordings, the musical outlet of NovaFuture Blog is back with its second digital release, provided by Berlin-based DJ and producer Repressed Mind. As a long-time affiliate of NovaFuture Blog, Repressed Mind contributed the second ever mix to the now 2years-running „ABC plays XYZ“ series on NovaFuture Blog, showcasing the now defunct Modul Label, of which he’s a former member himself. After numerous subsequent features and premieres on the Blog, he now brings his signature sound to NovaFuture Recordings. Taking inspiration from his love for Berlin’s dark, industrial-styled dance-floors, „Disillusioned“ is a menacing, hypnotic, and banging Techno tool. Eerie synth soundscapes complement the grooving, sub-heavy kicks, rolling along at a decidedly fast pace. Previous releases, most recently his stunning „Pattern Gate EP“ on T4F Records, were already gravitating more and more towards a faster techno sound. With „Disillusioned“, Repressed Mind further cements his place within the contemporary vein of 135+ BPM hard Techno prominent from Berlin to Copenhagen. NOVAF002D will be out 12th of April. Repressed Mind’s “MOD011” on Modul.